In an event in Mumbai, Kareena Kapoor Khan said that her child Taimur Ali Khan is the most amazing looking baby in the world. He is, isn’t he? He is cute, adorable and his extra chubby cheeks coupled with those shining eyes steal the limelight even from his beautiful mommy Kareena wherever he goes. Kareena was present at a book launch where she told the reporters- "I think times are changing and wherever we go, we get clicked, which is a part of our normal life. I want Taimur to grow as normal as possible, then why should he be treated any differently? His parents are normal; he will lead a normal life like all of us. So I am okay with the fact that media clicks his photographs; besides my Taimur is the most amazing looking child!" Basically, Kareena Kapoor doesn’t mind when paparazzi crazily comes after cute Taimur. On being asked about her fitness, she said- "I am going to the gym and eating right so that I can feel good and reduce weight, it will take some time." Clearly, after pregnancy she had gained those extra kilos which she needs to shed so that she can start all prepping up for her work. She will next be seen in 'Veere Di Wedding' directed by Shashanka Ghosh. In a recent interview, Kareena had mentioned- "Every month is going to be different. I think he is a perfect mix of Saif and me, more so like me, of a Kapoor, I think so. I think he looks exactly like my dad because I think I look like my dad. He is more like my dad." 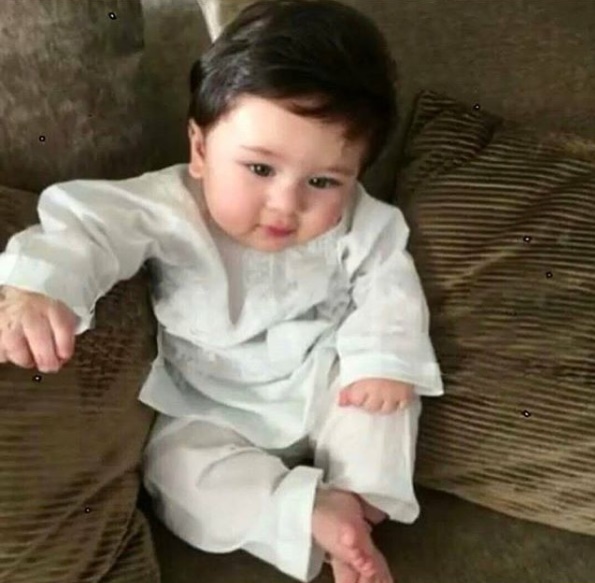 Just last week a fan page on Instagram had posted Taimur's pics in which he was wearing a white kurta, sitting on a couch and smilingly resembling his father, nawab of Bollywood, Saif Ali Khan. The picture took social media by storm. Well, little Taimur Ali Khan has that knack after all he is blessed with abundant cuteness.